In the 27 or so years since enactment of the Americans with Disabilities Act Accessible Parking remains a hot topic crisscrossing several titles of the ADA. Title II covered State and local government entities have an ongoing obligation to make programs and services accessible -- which includes provision of accessible parking. The private sectors, covered by Title III, also have obligations to remove barriers in their built environments and provide accessible parking. And, Title I covered employers also have ADA obligations to provide accessible parking to employees. Moreover, what about private housing and accessible parking? 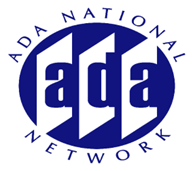 This session will explore common situations, issues, and legal update pertaining to accessible parking as a uniquely singular area of disability law that continues to persist as a popular ADA issue for everyone involved. There is no escaping an ADA parking issue on a daily basis.